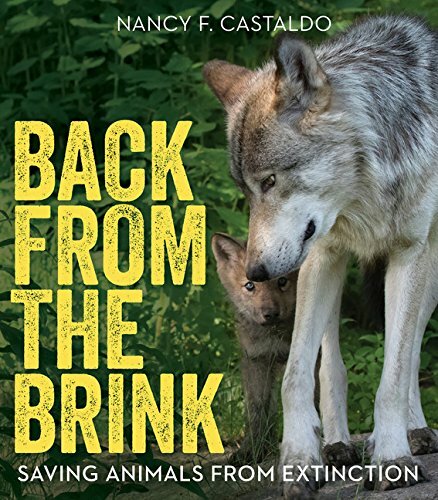 In the introduction, Nancy discusses preservation, the Endangered Species Act, and how humans can work together to help repair some of the damage done to wildlife populations. 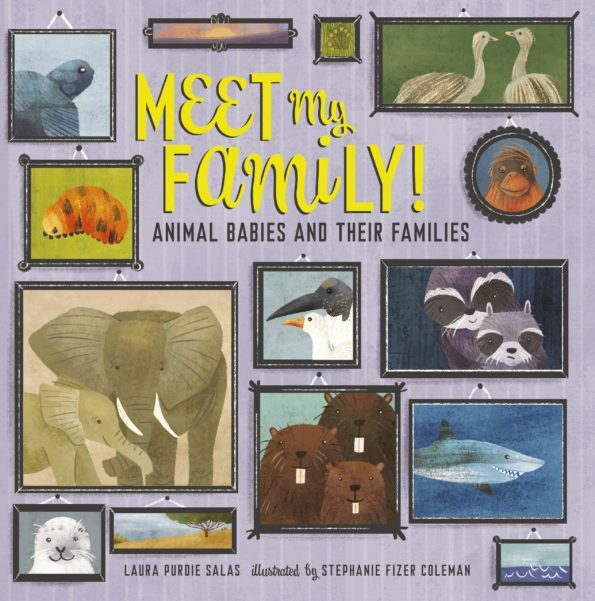 Individual chapters highlight whooping cranes, gray wolves, bald eagles, the giant Galapagos tortoises, American alligators, California condors, and American bison. Having never had the opportunity to visit the Galapagos, I was intrigued to learn about the tortoises. They are big – weighing 500 or more pounds – and live a long time. One tortoise, owned by Charles Darwin in 1835, died in 2006! These tortoises are crucial member of their ecosystems, Nancy writes. They help distribute seed for plants that, in turn, provide food for birds and lizards. The problem: goats. Goats introduced to the islands have destroyed the forests that provide important shade and moisture for the tortoises. People brought goats to the island; people can help remove them so the island ecosystem can recover and provide a safe home for the tortoises. Nancy shows how that is happening on one of the island, allowing tortoises to come back from the brink of extinction. I love the way Nancy ends with a Call to Action. 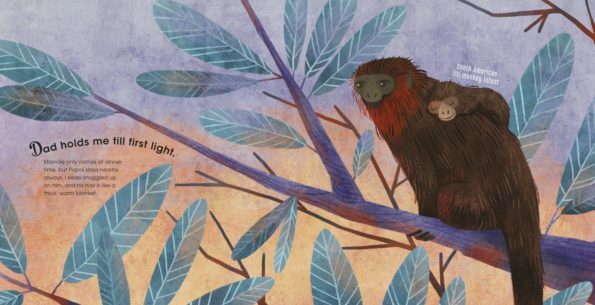 There are specific things that people – even kids – can do to help preserve wildlife. For example, planting native plants could help save endangered butterflies. Making sure your microtrash (bottle caps and other small plastic bits) ends up in the trash bin keeps plastic out of the mouths of wildlife. Preserving wetlands in your area will help the birds and other wildlife that depend on those habitats. Reducing the use of herbicides and other pesticides will keep birds – and humans – healthier. 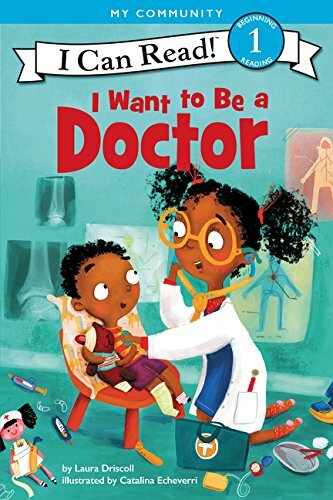 Booktalk: Doctors help sick and hurt people feel better. 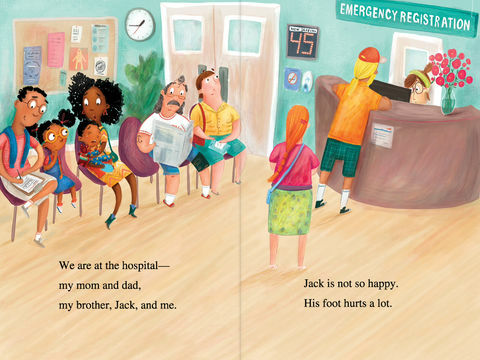 When little brother Jack hurts his foot, the family gets to meet all kinds of doctors. <em<(Level 1 beginning reader). Booktalk: In the early 1960s, while Rachel Carson was writing and defending Silent Spring in the U.S., Pu Zhelong was teaching peasants in Mao Zedong’s Communist China how to forgo pesticides and instead use parasitic wasps to control the moths that were decimating crops and contributing to China’s widespread famine. 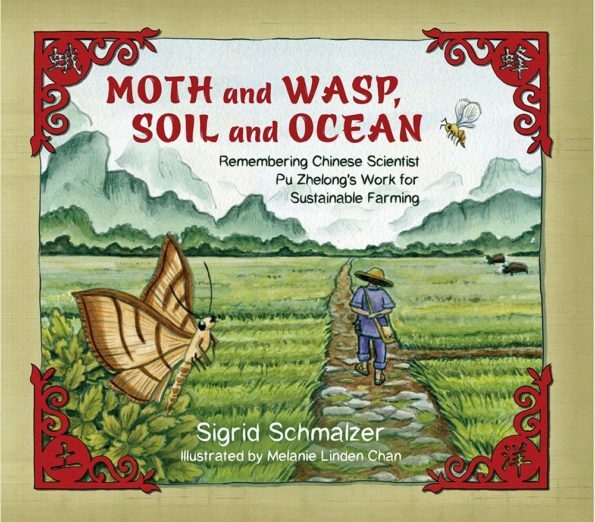 This story told through the memories of a farm boy (a composite of people inspired by Pu Zhelong) will immerse young readers in Chinese culture, the natural history of insects, and sustainable agriculture. 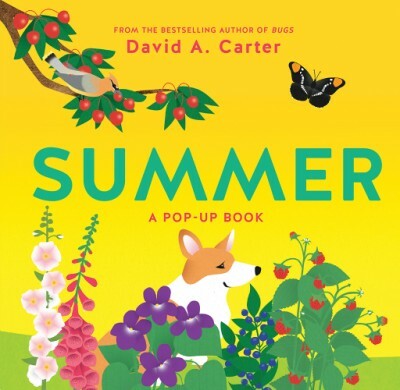 Each spread in this book features brief text and depicts plants and animals that children might see during the summer. What I like about this book: It’s fun! When you turn the page, a plant or tree pops up (plus the squash that vines from one side of the spread to the other). Birds, animals, fruits, and the occasional feature are labeled, and there is plenty of detail to explore on the page. It almost begs kids to get up and head outside to explore summer. My recommendation: tuck this one in your picnic basket. 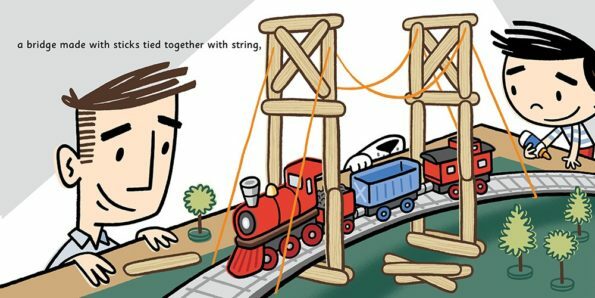 Head over to Archimedes Notebook for more books and some hands-on explorations. 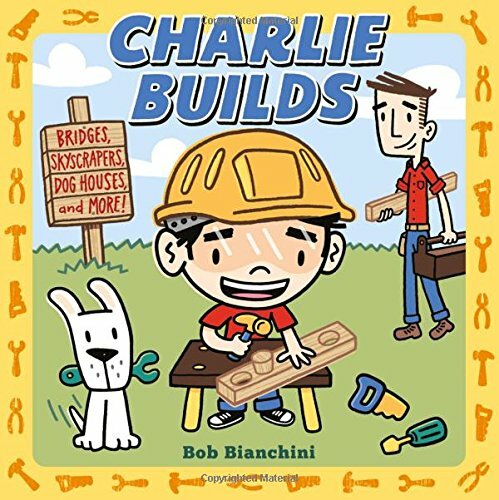 Booktalk: Charlie and his dad build everything together. 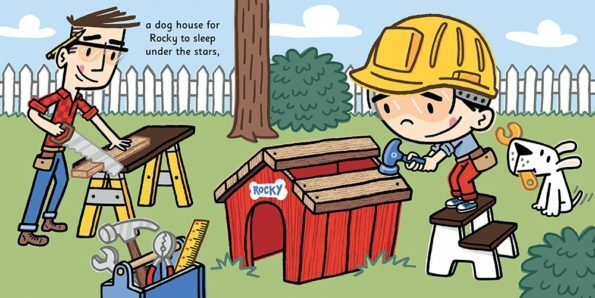 They build sandcastles at the beach, they build blocks in Dad’s office, and they even build a doghouse for Rocky and a tree house high above the backyard. But Charlie’s favorite thing to build is a pillow fort where he and Dad can cuddle together. 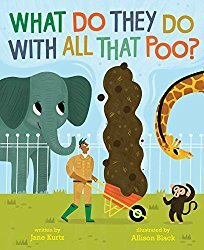 A rhyming STEM board book!